Every year, the kids’ Halloween bags, sacks, or buckets get too cumbersome for them to carry. They just want to hold hands and skip down the sidewalk with their friends, and lugging that big haul in one little fist is way too tiring. My husband and I end up carrying that vat of candy in their wake, while we try to juggle the camera, readjust costumes, and corral abandoned mittens. 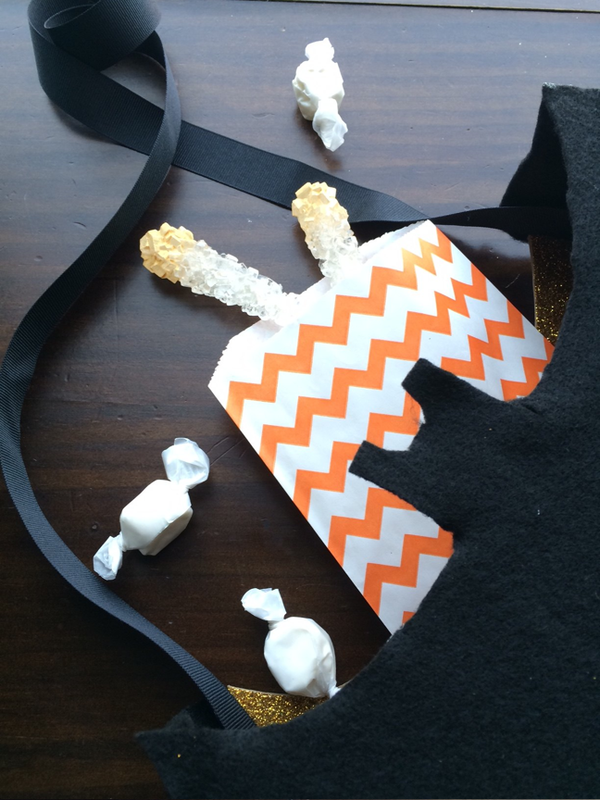 This year, we decided to create a custom treat sack inspired by their favorite Hotel Transylvania 2 characters that they are sure to go batty over. Plus, it’s hands-free for them to wear from door to door! 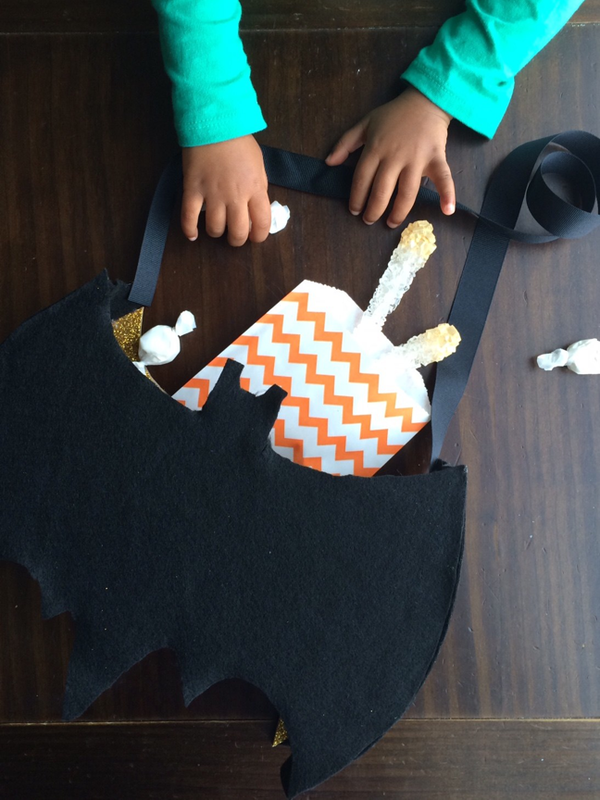 These DIY Halloween bat treat bags can be any spooky shape you choose, but we’re going with Drac and Mavis’ alternate form today. The beauty of these totes lies in the long ribbon strap that allows the kids to carry their stash without their arms getting tired. 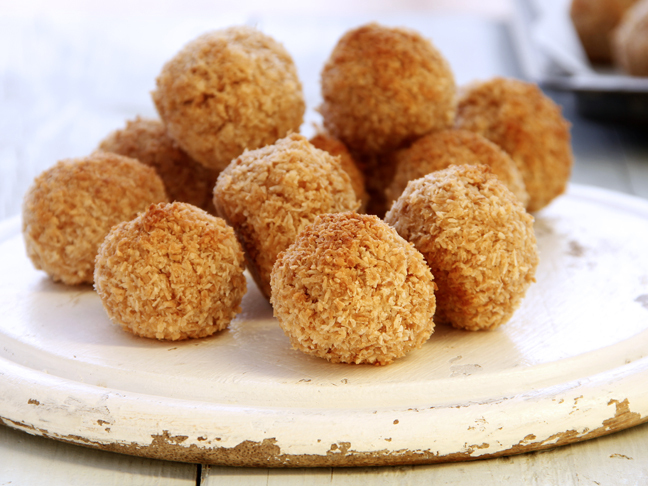 Simply sling it across their body, and hit the pavement for a night of sugary fun. 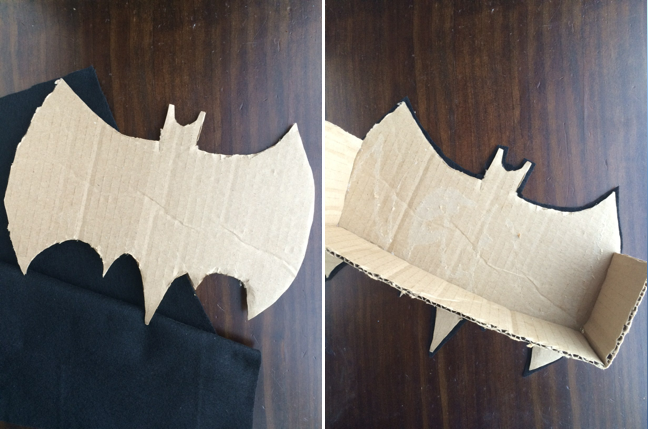 Step 1: Draw the outline of a bat onto the cardboard using a marker. Kiddo drew ours, but you can also download a free bat template online to trace. Simply do an image search for “free bat template,” and pick the bat style that makes your kid cackle with joy. Step 2: Using heavy-duty scissors, cut out two bats to create a front and back of the candy bat bucket. Cut an additional 4-inch strip of cardboard, and set aside. Step 3: Adhere black felt to one side of each bat using hot glue, and cut around the cardboard leaving a 1/4-inch excess of felt. Repeat this process with gold glitter paper, or any material you like, on the other side of each bat. This will be the interior of your sack, which is still visible after the sack is assembled. Why not bling it out with sparkles or make it wicked with a haunting Halloween-printed fabric? Step 4: Place one bat felt side down, and bend the cardboard strip into a U-shape to fit the width and height of the bat (see photos above). Using hot glue, attach the strip to the bat. Once dry, repeat the process with the other bat to attach it to the strip. Make sure to keep little paws safely away during this part of the hot-gluing process! Step 5: Using the point of your scissors, pierce a small hole into each end of the cardboard strip to feed the grosgrain ribbon through. Cut a length of ribbon long enough to drape over your child’s shoulder, and allow the bucket to rest at a comfortable length. Determine whether the child will wear the bag on one shoulder or cross-body when deciding the appropriate ribbon length. Run the ribbon through the hole from the outside, and knot the end to keep it from coming out of the hole. Repeat on the opposite end of the strip. Repeat the felt and paper steps on the cardboard strip. Set aside to dry, and viola! A hands-free Halloween bag that’s both mom and Dennis-approved!